Enriched with years of experience and our expertise, we are offering Corrugated Wrapping Paper to the clients. 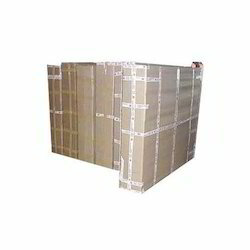 Corrugated Wrapping Paper of components before packing in larger boxes using corrugated wrapper and BOPP film. Looking for “Corrugated Wrapping Paper”?